Andrew JE Seely is Associate Professor of Surgery within the Divisions of Thoracic Surgery and Critical Care Medicine at the University of Ottawa, Associate Scientist with the Ottawa Hospital Research Institute, Chair of Research for the Canadian Association of Thoracic Surgeons, Director of Research for the Ottawa Division of Thoracic Surgery, as well as Founder and Chief Science Officer of Therapeutic Monitoring Systems Inc. Education includes an undergraduate honors physics at Carleton University, followed by medical school, general surgery training, and a doctoral degree in basic science from McGill University, and thoracic surgery and critical care medicine training at the University of Ottawa. Scholarly interests include: theoretical research exploring the clinical insights of complex systems science (e.g. emergence, uncertainty and dissipation); physiologic understanding of complex biologic variability; applied research monitoring multiorgan variability during exercise, onset and resolution of infection, critical illness and weaning; and development and implementation of a systematic means to continuously monitor all adverse events after all surgery, and feedback that information to improve surgical care. 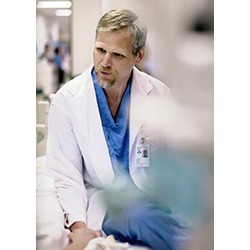 Dr Seely has supervised several graduate students and built research teams, has published 60 peer-reviewed papers, presents annually at international meetings, was awarded a New Investigator Award by the Canadian Institutes of Health Research in 2005, and has been awarded over $5M in competitive grant funding. He shares his family life with Kathy Patterson and their daughters Phoebe and Ruby in Ottawa. Please find a detailed list of publications here.